We’ve talked a lot in this space about the good, the bad and the ugly of taxes for the Dental enterprise. But then there’s the ugliest – the one many of you have experienced in one form or another and one of the most hated experiences in Dentistry – the dreaded tax surprise. As an accounting, financial, and business advisory firm for dentists and specialists in more than 30 states, Four Quadrants defines a tax surprise as any tax refund or tax owed over $10,000 in a given year. Everyone already knew that if you owed a decent amount of money, it was a surprise, but a big refund? It’s just as much of a mistake, but certainly easier to stomach. So if either of these are happening to you, something is broken. Once you get the dreaded call (likely occurring between December-April 14th), your options are pretty limited. Sure, there are payment plans available from the IRS, but one way or the other you’re going to end up having to pay that full amount immediately. The way to avoid or, at least, mitigate those tax surprises is to plan for them by managing the tax liability consistently throughout the year. And unless you have an accountant versed in the nuances of Dental practice operations, change will be needed. But trust me, it won’t be as painful as getting another bill from the IRS for five figures. Begin this journey by asking some specific questions: Is it a ‘one-timer,’ like an expensive new piece of equipment or a sharp drop in overhead that caused the surprise? Or is it a deeper, consistent problem in your accounting systems that you need to solve by coming up with specific policies and procedures? If it’s simply from a one-time windfall, there’s a relatively easy fix with the right help. You need better communication with your accountant to make sure they know what you have coming in and going out monthly, and can more accurately assess what your tax obligations are going to be earlier as opposed to later. We suggest a minimum of four tax projections per year to stay on top of this—and that very rarely ever happens. If the surprise is more consistently prevalent, the relationship between you, your bookkeeper, and your CPA is in bad shape and will need to change because your current system is broken. Going forward, you need to make sure your entire tax and financial team are on the same page, with the same goal – keeping your tax situation under control on a monthly basis. If your bookkeeping and financial analysis are more than two months behind, it’s not all that helpful for you. 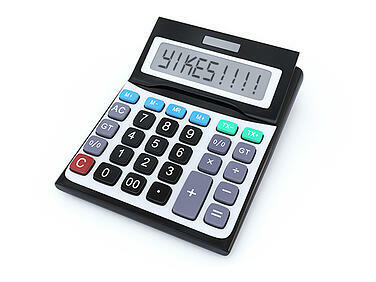 You need to update accurate numbers on a frequent basis. They need to lead to quarterly tax estimates that are delivered promptly each quarter, not an estimate every six months or once per year. Ideally, an estimate that takes into consideration current practice trends, past trends, and realistic expectations for the remainder of the year should yield a much more reasonable, customized estimate. 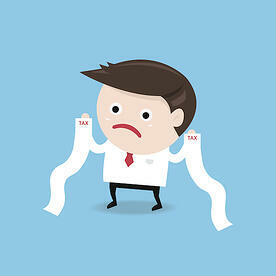 If you’ve experienced one or more of these tax surprises in the last five years, you’re not alone. Tax surprises and poor communication are the status quo for most dentists before they come to our firm. But that doesn’t mean you have to continue to accept it for your practice. Make the changes you need to make to be sure your tax bill will be regular, predictable, and easy for you to handle. If you have struggled with tax surprises, or would like insights on how you can avoid the next one, contact us directly at (877) 720-6213 or send us an e-mail so we can determine together the best place to begin.